A super easy and effective way to express your interest in her so you never get put into the "friend zone"
with the same old conversation that goes nowhere? 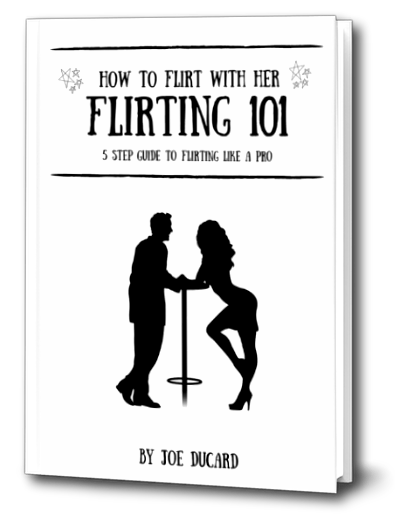 If you want to generate more attraction consistently, and keep her interested in you, then Flirting 101 is your bible. I meet so many Men who have a fear of getting flirty with her and have no clue how to do it. I decided to break down the 5 best ways to start to incorporate flirting into your interaction with a Girl and explain them in detail in this guide. You can use theses techniques immediately and even take them with you in your phone. For a limited time, you can download Flirting 101 for FREE, and learn the ability to keep the attraction through the interaction with her.